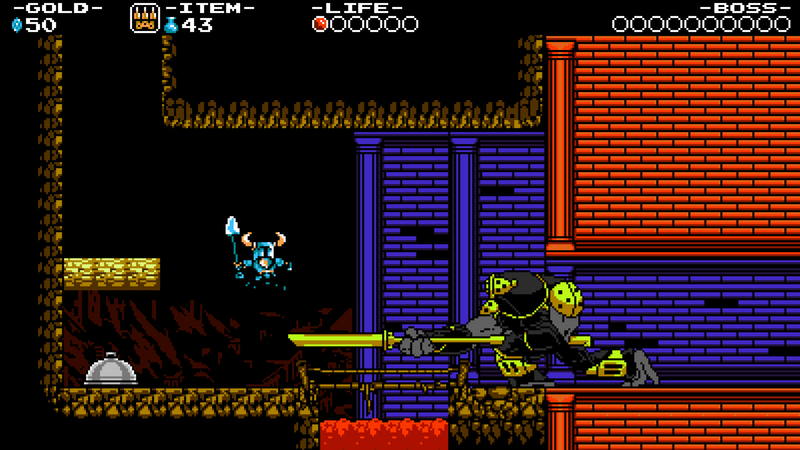 Yacht Club Games might have been playing a dangerous game with regards to Shovel Knight. Owing to the large delay on the EU release of the title, the levels of hype may have actually ended placing the game in a position where it couldn’t possibly live up to the expectations the public had of it – luckily this wasn’t the case. I have been personally guilty of building this game up to almost god-tier levels, and the brief play on it I had at this year’s EGX only served to raise my anticipation more. However, that was a short play at an event, and therefore I couldn’t get properly to grips with the game. Now that I have it, following the wonderful announcement during Wednesday’s Nintendo Direct, I can give a proper impression of the game. 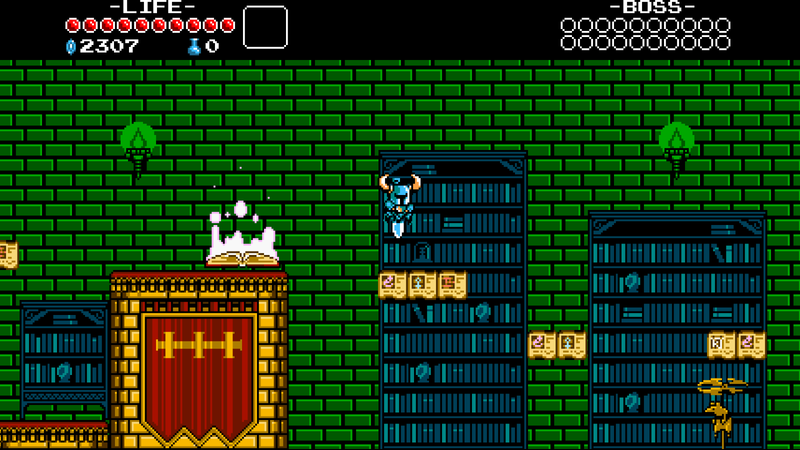 To begin with, Shovel Knight is wonderfully retro. From the graphical style, to the music, to the gameplay elements, everything is a fantastic reminder of gaming in the late 80s/early 90s. The art style is pixellated perfection, containing more colours than the games of my childhood, but still resembling the stripped back simplicity of the games of that era. In short, it looks gorgeous, but not by today’s standards. That, however, is entirely the aim of the developers. There is so much I can say about the music that I could probably fill an entire review with just descriptions of the soundtrack, but I will try to be brief. This soundtrack is one of the best musical scores I have heard in years. The delightful chip-tune music that is scattered throughout the game is always fitting to the circumstances at hand and yet always catchy. I am even sitting here now singing one of the songs in my head, it is just that good. It brings back memories of the classic MegaMan games and their soundtracks, which is not a bad comparison nor a bad thing. This leads me on nicely to the gameplay, which is essentially a reborn MegaMan crossed with elements of Castlevania and Ducktales. Imagine, if you will, that you were playing a MegaMan game, in a medieval setting (with some slightly out-of-place set-pieces), with magic and the ability to use your weapon as a pogo-stick and you have pretty much nailed it. There is one difference between these comparisons and Shovel Knight however, and that is that this title is much more forgiving. The difficulty is high, but this game has checkpoints to spread out the challenge a little. Also, your deaths do not make you “lose a life” like the others, but only lose a portion of the gold you have collected. This gold is lost forever if you fail to reach the point you died again, making the game challenging without being unfair. The controls are tight and responsive, and your deaths (and there will be many) never feel cheap.